Because it's hard to mail a hug! 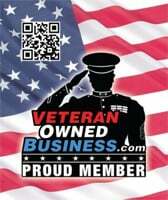 We are a Woman owned, Veteran owned Company. We are two average, fairly normal, girls that had an idea. We want to give back to the world, one person at a time! We started this company as a way for families and friends to stay connected in their busy lives. We (as a company) donate one free subscription for every 10 paid subscriptions, to a United States Veteran, or a to Senior Citizen with no family. We print and mail your digital photos to your loved ones, one at a time, at the interval of your choice: once a week, 3 times a week, or 6 times a week. You sign up for the plan that works for you, upload your photos, and relax! We handle the rest! We want to Send Your Love to anyone that needs it! Anyone, anywhere in the US (and APO or FPO), we have you covered. If the USPS delivers mail there, on a domestic rate, we will ship it. We print photos and ship them every day, except Sunday’s of course! Sending Your Love to soldiers is easy. Soldiers in the world need our support to keep going in the tough jobs they must do. It is not always easy for them to check what is going on. Getting our weekly mail with your images and messages of love will give them something to look forward to while away. Sending Your Love to seniors is easy. We upload images to social media often in our lives but many of the loved ones in our families miss out on these due to lack of technology in homes or skills to use them. We make it simple for your loved ones to stay connected and be able to show their friends you care. Sending Your Love to college students is easy. Going away to college for a few years is a very exciting time. It can also be a very lonely time, for the student, as well as their family back home. With just a few clicks, Mom and Dad can send their photos to the student to decorate the dorm room, or the student can send Mom and Dad photos for the fridge. We want to help everyone to stay connected, no matter where they are. This service really helps me out. Being deployed with a young baby at home is incredibly hard. This service gives me photos of my baby girl that I can hold in my hand and look at whenever I want to. Thank you! My father is so happy with this service! Thank you so much for offering another avenue for us to stay connected while we are living halfway across the country! The photo color and quality is above and beyond what I was expecting! They look fabulous! And I love the envelopes, brings a little sunshine into my day!